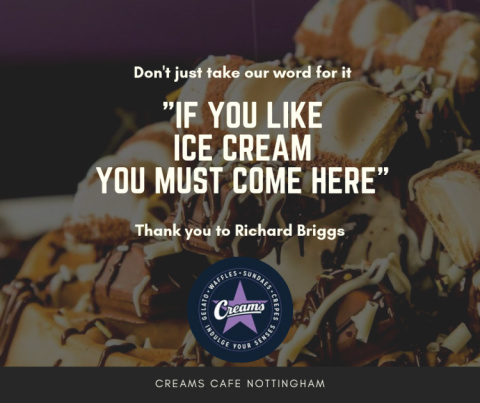 Creams Cafe hasn't added an introduction yet. 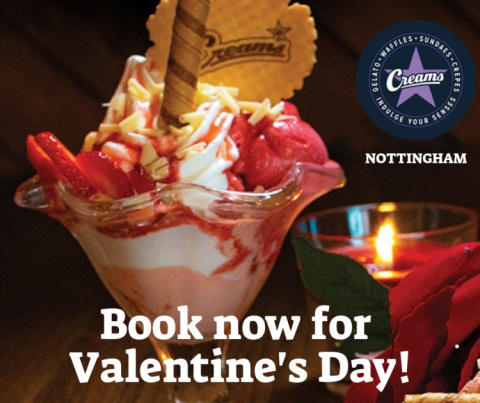 Book a booth with us to treat your Valentine, dessert is the way to a wo/man's heart! Who’s your friend who always goes for the weird and wonderful? 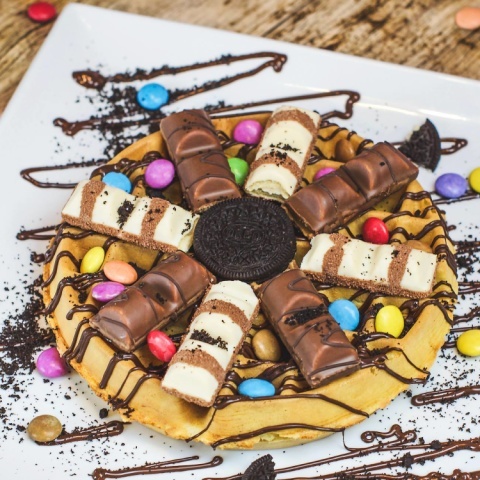 Combine over 80 different toppings! Do you like ice cream? 🍨😋 Come and try our gelato! 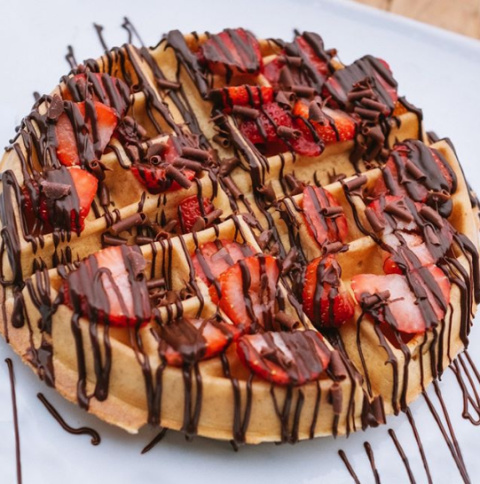 We’re in the mood for a classic combination of fresh sliced strawberries coated in chocolate! 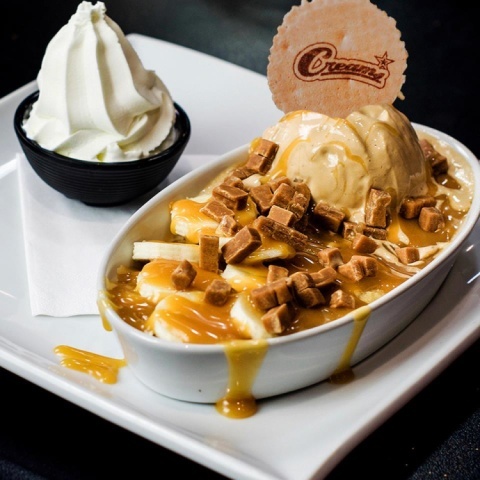 We're in the mood for this Sticky Banoffee Cookie Dough, In Store now! Dreaming of a White Christmas? 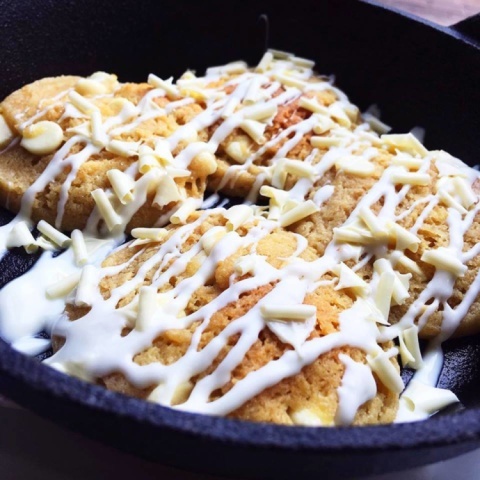 In the meantime how about some white chocolate cookie dough! 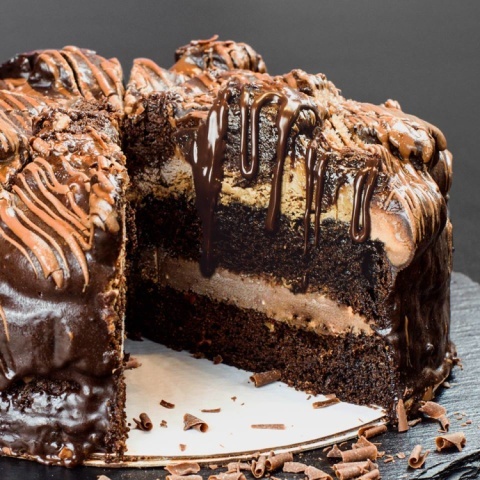 A rich chocolate frosting sandwiched between a spongy chocolate cake! Kapow! 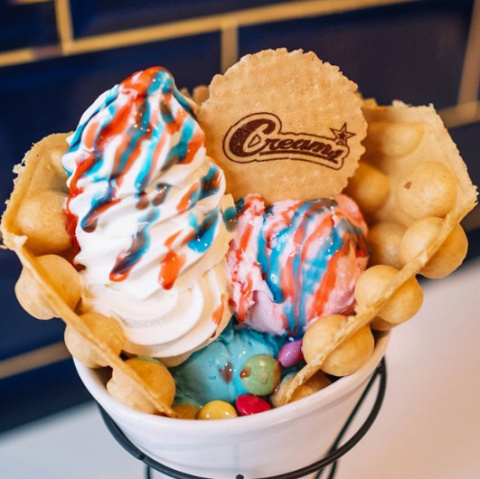 Have you tried taking a pop at one of our Bubble Pop Waffles yet?! 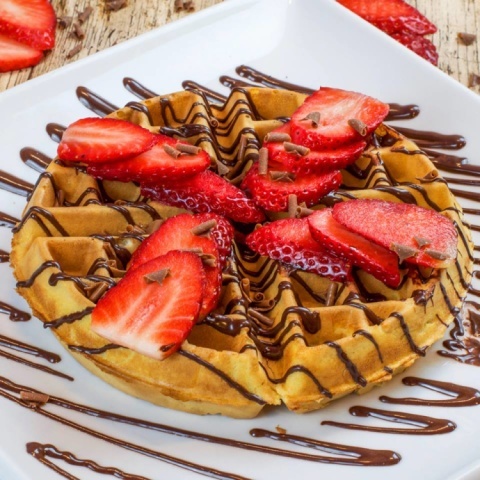 How about a golden waffle with some fresh strawberries drizzled with milk chocolate today?! 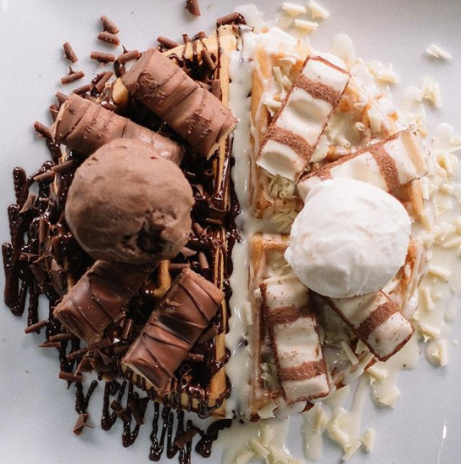 Why choose between delicious White or Milk Chocolate Kinder Bueno when you could have both?